Tommy Robinson arrested - yet again. This time whilst on licence following his previous conviction. Are all far right extremists this dense? 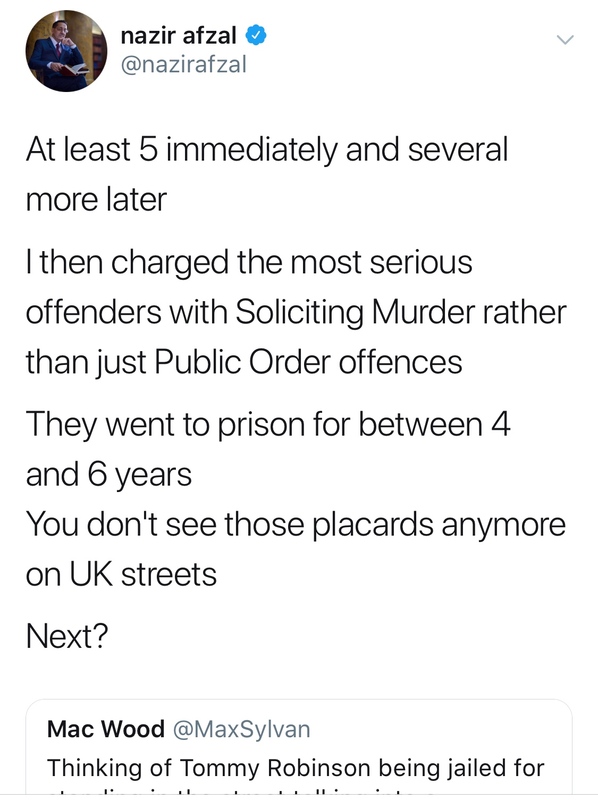 Re: Tommy Robinson arrested - yet again. Do you think he should get sympathy for such stupditym, where he cares more about his own ego than the actual victims? did you read something different to the rest of us. Are you suggesting that the article is not accurate or the bloke who wrote it does not know his onions? 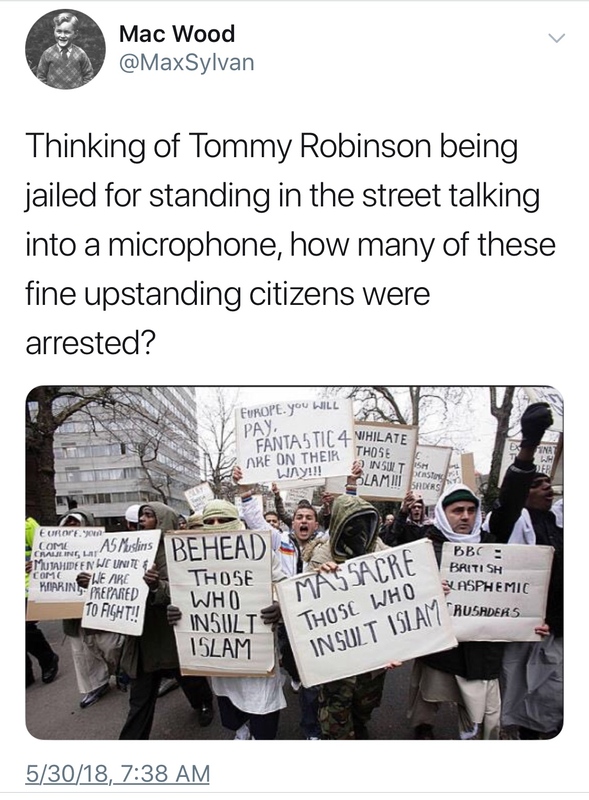 I think its funny, espcially calling "Tommy the brave"
Is that now a crime to you? yes, but that just reinforces your predisposed hatred of robinson. That I laughed at someone calling him "Tommy the Brave"
Was he brave when he beat up his wife? based on your previous posts of course. The point is, regardless what you think of him he's keeping the problems of Muslim rapists in the public eye, agreed? So its not a case whether he is innocent or not. Just that he receives a fair trial. That it was unfair that he was not allowed a proper time for a defense. Where at the retrail, in fact could if found guilty. Face an even longer sentence. I can't see that he's any different. He's always liked to talk a lot.